Vatican City, Feb 15: The Vatican is having its own version of the WikiLeaks scandals that have hit the United States, spokesman Federico Lombardi has said following a recent rash of leaks to the Italian press. Newspapers have published letters by a whistleblower alleging rampant corruption in the Vatican, as well as accusing the Vatican bank of failing to enforce laws against money laundering. Last week a confidential letter from a cardinal claiming knowledge of a plot to assassinate the pope within the next 12 months also came to light. "We need calm, cold blood and reason," Father Lombardi said in a long statement published on Vatican Radio's website late Monday. US President Barack Obama's administration "had Wikileaks, the Vatican is having its leaks," he said. Observers have said the leaks are evidence of an internal power struggle in the Vatican, particularly against Secretary of State Tarcisio Bertone. 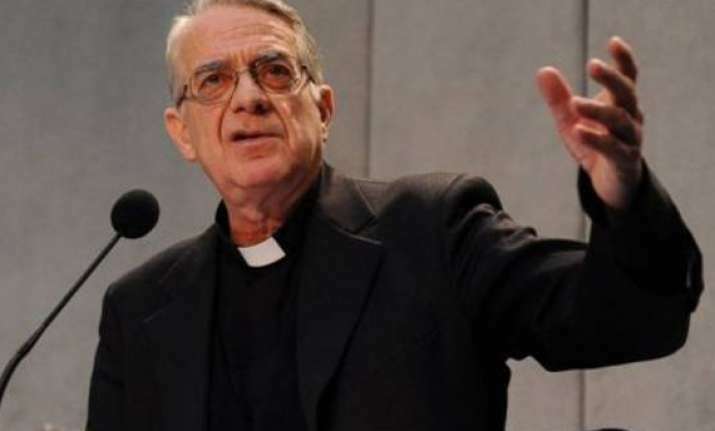 "These leaks are intended to sow confusion and to show the Vatican, the government of the (Roman Catholic) Church and the Church itself in a bad light," Lombardi said. The spokesman stressed that Pope Benedict XVI was committed to improving financial management of the Vatican administration and ensuring that the Vatican bank was in line with international rules against money laundering. "It is sad that internal documents are being transmitted externally in a disloyal way," Lombardi said. "Some of the documents distributed recently tend to discredit the commitment" to improving the Church's transparency, he added. In an editorial on page one of Osservatore Romano, its chief editor Giovanni Maria Vian defended the pope, saying the pontiff "does not give in to wolves" and would succeed in "doing away with stereotypes that die hard (and) put a stop to irresponsible and unworthy behaviour." The pontiff is pursuing his "work of innovation and purification with courage, tenacity and patience," he added. Asked later Tuesday about persistent rumours that the pope could resign, Lombardi said: "If this issue is ever seriously broached, we will discuss it. For now there is nothing serious and therefore nothing to say." Benedict mentioned the possibility of resigning in a book of interviews with German journalist Peter Seewald titled "Light of the World" in which he said he could step down if he could no longer carry out his duties.